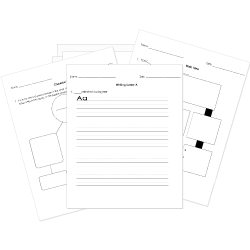 You can create printable tests and worksheets from these Grade 5 Autobiography and Biography questions! Select one or more questions using the checkboxes above each question. Then click the add selected questions to a test button before moving to another page. Who helped to feed and take care of Dewey by donating money? What characteristic does the author say Dewey has that makes him so special? Dewey was banned from Story Hour at the library. Dewey's nickname was "the Dew." Dewey's favorite holiday is Thanksgiving. When Dewey died, his obituary was written in more than 270 newspapers. The staff had a special way of carrying Dewey over their shoulders, called the Dewey Carry . Dewey was more interested in people than in books. The Dewey Mambo is what the library staff called Dewey's very excited reaction to receiving catnip. Describe how the library was designed to prevent allergies. The veterinarian says that Dewey is just a good-looking alley cat, but the author disagrees and refers to Dewey as "a lion in alley cat clothing." What does she mean by this statement? The author says that Dewey was a welcome distraction for the town of Spencer. Why does the town need a distraction? What lesson did the people learn from Dewey? Write a paragraph to answer the question. What was Dewey's legacy? What were the lessons that Dewey taught the author and those around him? Write a paragraph in response to the question. Describe the setting in the story.